The exhibition “MRS Fall Meetings & Exhibits” which was in Boston, Massachusetts (USA) was successfully completed. Thank you very much for your visiting. What was receiving extensive attention at this exhibition was “Precision mirror finish” which is one of TDC’s original technologies. 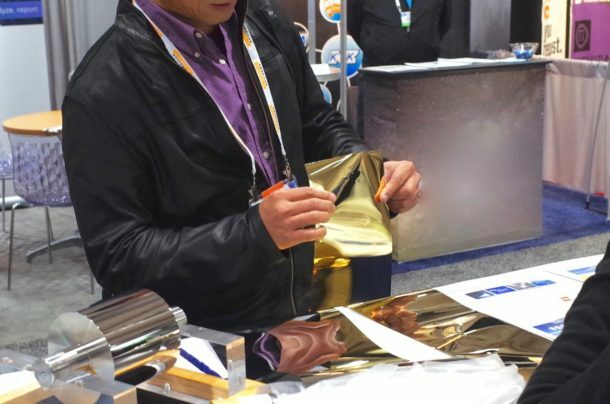 “Precision mirror foil” has nano-level surface roughness and can be elongated more than 100 meters. It is expected to be used at fields In CVD synthesis of monolayer graphene for transparent conductive films, and flexible devices. film, flexible device and the like has been evaluated I will. Materials that we can process are stainless steel, brass, nickel and copper. Customers requirement always motivate TDC to develop higher quality. TDC is an expert at solving your technological problems through precision manufacturing. Maintenance of Precision stage, positioning stage, vacuum chuck and granite plate. Copyright (C) TDC Corporation All Rights Reserved.